Do your research beforehand. Read over the Reform Pay Equity Initiative toolkit and ask yourself not if you are paying your employees equitably, but how do you know if you are paying them equitably. If you aren’t sure, join the Initiative and use the resources of the toolkit with your committee to ensure you are promoting ethical employment. It is the average difference between a man’s and woman’s remuneration. In the United States, the female-to-male earnings ratio was 0.77 in 2012 and has only increased to 0.8 in 2017. This means that a woman working full time earns an average 80 cents for every dollar a man earns in America. The gap is much wider for women of color. This gap has been attributed to differences in personal and workplace experiences between women and men as well as direct and indirect discrimination in the labor market. Women are frequently discriminated against, both consciously and unconsciously. This reflects in remuneration. Who are the employers within your congregation/organization? Although there isn’t a hiring committee or formal congregational process for every position, it is important to identify the hiring stakeholders. These may be Jewish professionals and/or lay leaders. Remember that hiring happens all year round. In fact, A rabbi could be applying for a position at a congregation one month and then interviewing a youth group advisor the next month. Jewish professionals associated with a congregation or organization have the potential to be both employees and employers. Members of a congregation are part of the employer stakeholders group and should promote Jewish ethical values in hiring. How does implicit bias factor into the hiring process? Everyone possesses bias, whether conscious or not. We must recognize our biases, and then educate ourselves to keep those biases from defining our behaviors. It is important for employers and those engaged in hiring others to review these biases prior to starting a search, so that they do not influence decisions. In addition to the hiring stakeholders studying implicit bias and privately reviewing their results, there are other ways to avoid being influenced by these subconscious behaviors. For example, when comparing multiple resumes, employers may want to remove names or other identifiers from the documents so the candidates are being judged solely upon experience, thus taking gender out of the equation, at least in the initial phase of vetting. Take an Implicit Bias Test. Perhaps the most important tool we have to reduce the gender pay gap is transparency. This includes transparency about the specific compensation and benefits for a position. When setting salaries, employers should compare their compensation package to similar positions within the field, consider cost of living in the geographic area, and assess the level of experience required. By being transparent about the compensation before interviewing candidates, employers can avoid contributing to the wage gap as a result of being influenced by implicit bias (see below) or by female and male candidates’ different negotiating styles. Also, advertising the compensation package clearly to employees can best determine if the position is right for them. This helps vet candidates from the beginning of the process without wasting the employer’s time. In contrast, asking prospective employees to ‘name their price’ or basing salaries on their previous salary, rather than the appropriate level for the current position, can reinforce gender disparities, which can then follow employees throughout their career and exacerbate the gender pay gap. Cost of living in different geographic areas should also be considered. Of course, you are the best judge of local cost of living. However, online calculators can be helpful. There are numerous websites, such as bestplaces.net and payscale.com, which can help you access standard salary levels for similar professional positions in different communities, which may be helpful to your cost of living research. There are other benefits that are crucial in a compensation package that should be granted to all employees but unfortunately is not the norm currently. Benefits such as paid family leave and flexible hours allow an overall better work environment and therefore encourage employee contentment and longevity. These are good for the employer and employee. Paid family leave especially should be considered a right, not a negotiable benefit, for employees of all genders and ages. 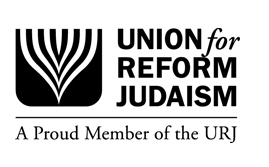 Invite your clergy, educators, and other leaders in your community to share some teachings related to the Jewish values of pay equity. text studies, sermons, and workshops should be encouraged to educate and invest the entire community around this important social justice issue. We also have a Living Talmud to be used as a teaching tool. URJ and other organizations within our Movement have been fighting for equality for women since our beginnings. The first WRJ resolution on equal pay was in 1963, in conjunction to President Kennedy’s signing of the equal pay for equal work for women bill. Pay equity is a social justice and human rights issue because it fights for equal opportunity and just relations between an employer and their employee. Women are systemically paid less than men when equality is not ensured. Together, we can change that narrative. The Religious Action Center has led the Movement in partnership with the Poor People’s Campaign. Systematic racism and sexism allow pay inequity across North America. We are working towards a world with more equal opportunity.